It is so exciting to finally be in the place we have been preparing to come to for so long! One of the ways God confirmed his calling to me back in 2011 in the village was that I had this overwhelming sense of being home. 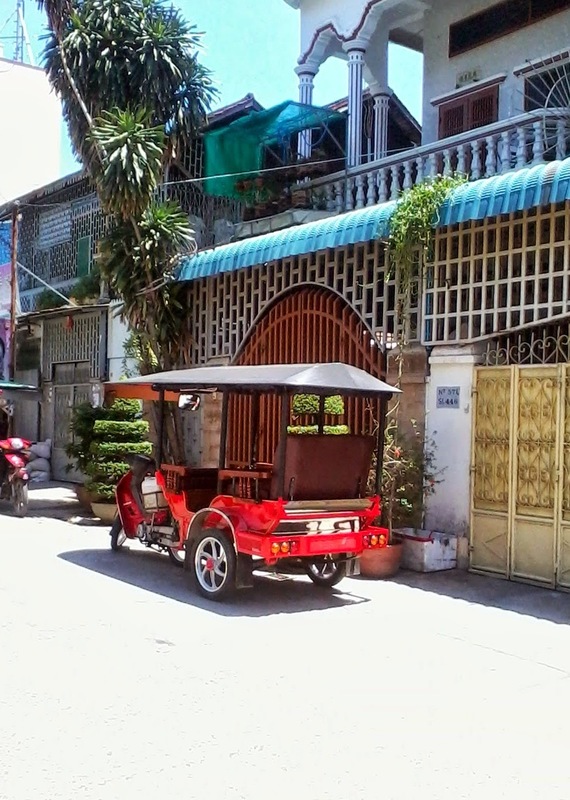 When we landed in Phnom Penh on Sunday and began our journey to the guesthouse in the tuk tuk piled high with all of our earthly belongings, I couldn’t help smiling. It doesn’t feel quite like the plains of Nebraska which will always be home for me, but I have definitely felt a peace here knowing this is what God has for me right now. It is has been a productive few days here already! I have gotten to have some of my favorite Cambodian treats- iced coffee with sweet cream (there is nothing quite like it! ), rice and fried pork, and curry. Someone found a wonderful apartment for us and we were able to check it out and sign the contract right away. We should be able to move in later this week. We visited a couple of language schools and settled on one that is right around the corner from our apartment! Kristin and I will meet every day with a tutor for a couple of hours and then will go out to the market and other areas to put what we have learned into practice. Already we know of a couple of shops where we can visit often to enjoy a cold glass of juice or iced coffee and build relationships as we practice the language. Right now I am enjoying all of the new experiences and cool ways that God is providing for our every need! I have been so thankful for all of the help from our field supervisor and local team here to help us get settled and adjusted. I know there will be frustrating days ahead and I appreciate everyone’s prayers so much! Please pray for a clear and quick mind as we begin to learn the language and that even though we can’t communicate we can be a light for the Father. I am so excited that you are finally there! I can't wait to see and learn of all of the amazing adventures God has in store for you!